This is a terrific interview. Danny seems like a nice guy. I bought a copy of his book "Street Player" and it is a must read for all fans. You're right, their induction in the HOF was long overdue. Bottom line. The interview is terrific. Thanks for the story. Great interview! Love Danny’s stories and great sense of humor! Also loved reading ‘Street Player, My Chicago Story’! Enjoyed the interview. Street Player is great read. If you haven't read it you are missing something great. I played drums back in the day. Was always impressed by Danny's drumming. Two drummers made me drop my jaws in awe. Dino Danelli and Danny Seraphine. Both are underrated. 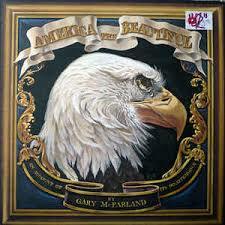 CTAs first two albums were fantastic. Saw them in person in NY live. They are a powerful force in music, and they were tight that night with A class musicians. Just can't wait for a third album. I hope one is in the works. Great interview and a great book for all Chicago fans. 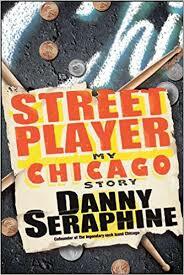 What a great interview Casey Little one was definitely one of Chicago's greater songs Danny has really shown that he is a great writer both musically and in literature...True Danny, couldn't put the book down! It always frustrates me with the archives, when I watch the archiveson YouTube of Danny and Chicago and how underrated Danny has always been but I'm sure it's just because he's such a gentleman and was always just moving over for the other guys and letting them shine. I loved your interview with Danny Seraphine! Great work, Casey! Excellent videos that brought back wonderful memories. I was impressed by Danny's honesty and him giving credit to those who deserved it. The Chicago Induction into the Rock & Roll Hall of Fame clip really showed Danny's character and like you, I appreciate him just speaking from his heart. Interesting to read about those who influenced him and amazed that he still has things he wants to accomplish as a player!